Do you have a favorite kitchen tool? A dedicated or multi-purpose item that you pull out every time you cook? I find it hard to narrow it down to just one! Here are a few of the tools that I use most often and couldn’t live without, some that get pulled out less frequently but are great to have around, and a few that I would love to add to my collection. No surprise, right? Most chefs, from amateur to professional, list this as their number one. A sharp knife makes quick work. RF gifted me this Wusthof Culinar 8-inch Chef’s Knife and I couldn’t live without it. I would guess that many folks choose the 10-inch chef’s knife, but the smaller version is just perfect for me – much easier to handle and far more versatile. I love these Orka oven mitts! I got my mom a pair and she found them to be too big for her tiny hands, but my normal-sized hands think they provide just the right amount of coverage and protection. Not only is silicone resistant to extreme cold and heat, non-stick, and stain resistant, it’s super easy to clean. These silicone exteriors are easily washed by hand or in the dishwasher. Plus, they have a comfy cloth insert that can be thrown in the wash if you, like me, forget to wash your hands before frantically shoving your hands in them. This is my secret tool for doing all kinds of things other than blending pastry. Sure, it’s great for that too, but it’s also terrific for chopping or smashing other softer ingredients. Most often, I use it for smushing up chickpeas and cannellini beans for recipes like this one. It easily tackles things like avocado and banana for guacamole or bread prep. I’ve even used it to give a finer chop to walnut halves. It absolutely cracks me up that these are painted different colors (yellow, orange, green, etc.) and sold as dedicated juicers for different fruits. I really hope you haven’t fallen for that old trick! You only need one. I recommend the mid-size if there are options – it will easily juice smaller fruits, and larger ones can be sliced into smaller pieces for juicing. 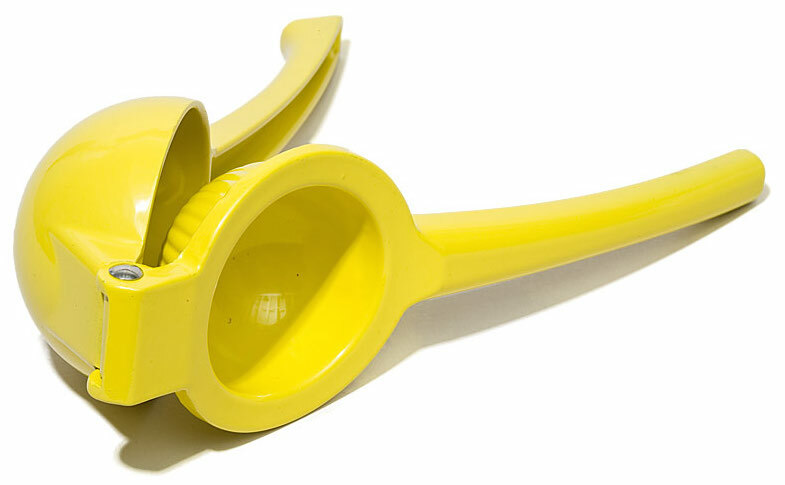 It does make squeezing lemons, limes, and oranges a whole lot easier with much less waste. There are some meats that I’m very confident about cooking to perfection. OK, maybe just chicken. All others make me terribly nervous. So, I love having a meat thermometer to help guide me. 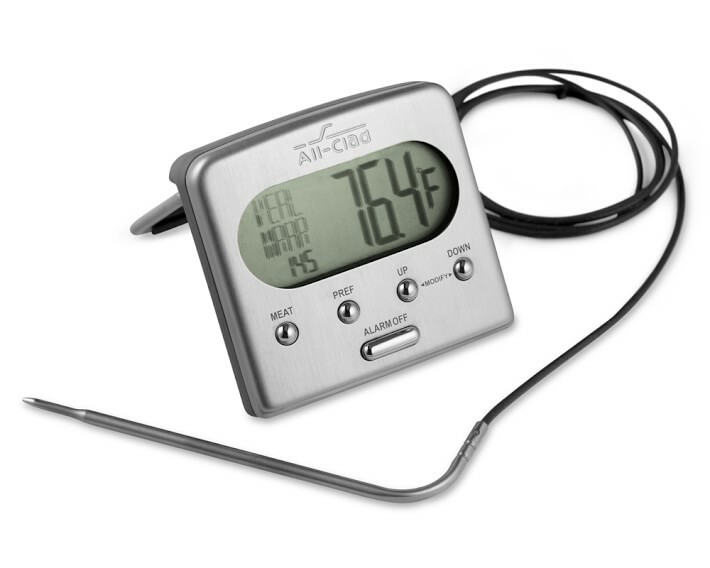 I do prefer having one with a remote read-out so that I get a continuous measurement throughout cooking and don’t ruin the meat by sticking it over and over to check doneness. It also beeps to let me know when the desired temp is reached, should I be distracted by working on other dishes…or a cocktail. Do not get me wrong, I adore my KitchenAid Pro. For big mixing jobs, it simply cannot be beat. However, there are times when I also appreciate still having my old hand mixer. 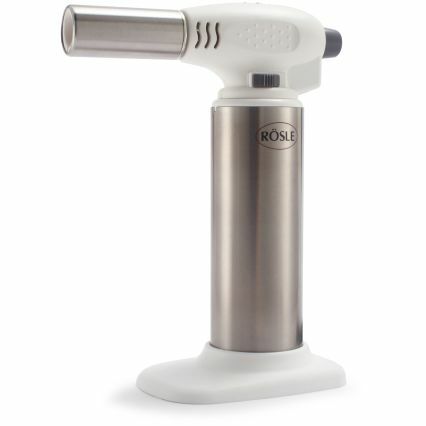 It’s fantastic for quick jobs like whipping cream, frothing an egg, or stirring up some pancake batter. If I had to pick one over the other, the KitchenAid would win in a landslide…but please don’t make me pick! To be a true baker, you should really be cooking by weight, not volume. If you’re like me, you’re constantly wondering if there’s a big gap in the bottom of your measuring cup, or if the ingredient should be more loosely or tightly packed into the cup. Scales remove these doubts. And, the Drop Kitchen Scale isn’t just any digital kitchen scale, it’s smart! It syncs with your iPad to provide step-by-step baking instructions so that, hopefully, your end result is a delicious success! Because…fire! Really, need I say more? This choice is most definitely nine parts form and one part function. Sure, copper provides more efficient and even heating when cooking. That might matter if I also had a much nicer stove. Alas, I’ve survived this long cooking without copper, and will likely survive a great while longer. But, if I’m putting together a dream list, these have to be on it. Ooooh…ahhhh….